Just a quick little Mini review. This is a photo of the new Canon EF-S 18-55mm IS Mark II taken with a Canon Rebel EOS T3i (or known to the rest of the world as the Canon EOS 600D) & a Canon 50mm F/1.8 II. Initial feed back is this camera looks to be a winner. 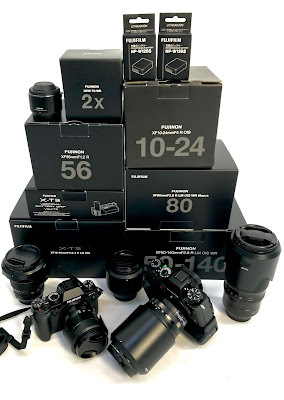 If you're looking for a budget option and not wanting to pay a lot for a digital SLR system, this might be a great option. 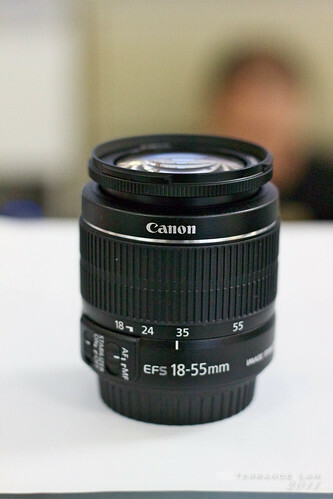 Expected to hit the street tomorrow for $999 CAD with the new 18-55 IS lens. More reviews will come out, but I'll share my quick perspective on a few things that stood out and my thoughts on them. Owning several Rebels, the first thing I noticed was the larger grip design. This is definitely a refreshing change. I like the small size but this slight design change is well deserved. Ergonomically it's well built and the polycarbonate design is much nicer feeling than older models. The flip out screen is also very crisp and with the wide screen, gives a much nicer impression of what you see in the viewfinder. I took this shot at ISO 6400 and was very impressed with the high ISO to noise performance. Not shown here is another shot I took on ISO expanded (ISO 12,800) which was very usable. The big thing I'll say is the banding is very well controlled in higher ISO. Canon is making some great headway in improving their SNR. New lens is well built, the IS stabilizes nicely, smooth action on zoom and focus rings. Auto ISO now has limiter, also works in manual mode to create a TvAv Priority mode. Auto + green box mode is very very nice. Even with flash, the combination of the new metering makes fantastic well exposed images without needing huge expertise in SLR photography. Cool creative filter effects (taken from the new 60D, some cool effects like Toy Camera, Fish Eye and Miniature are some cool effects for novice and even advanced users. 18MP sensor. Nice high MP images with low noise, even at ISO 6400 the noise patterns were well managed and also banding is almost non-existent. If you're looking for a second body crop, this might be the choice. Poly-carbonate design is very solid, and doesn't feel as cheap as the older Rebel models. New commander mode flash options, wireless flash control at the budget level. New Feature Guide in the LCD menu. Like Nikon, helps new users understand what each function can do. Digital Zoom. Like on Powershot camera, now features a 3X digital zoom for video. In summary, I'd say this will be a great starter camera and even for advanced users. 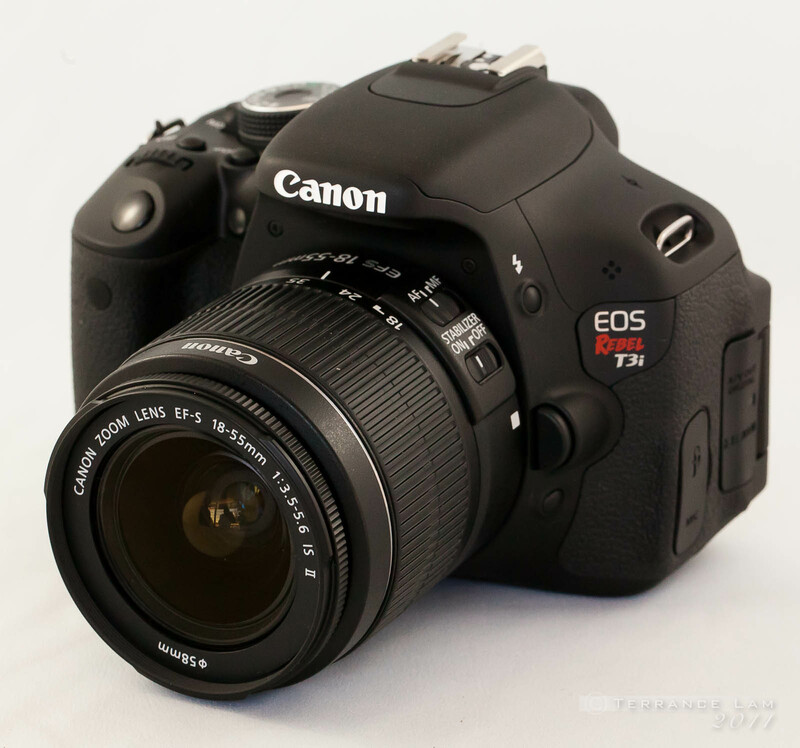 It will make a great second body for those who already have a primary body like a 7D or 5DmkII. I like the size, although it's a little imbalanced with heavier lenses (I tried it with a 24-70 and it was definitely front heavy). Although my time with the camera was pretty short, I still give this camera some high recommendations for first time users. The image quality and features are impressive for a camera in this class. It is aimed towards those just starting out with a dSLR or those with some experience but want to learn to get more out of their T3i/ 600D and shoot in Av and Tv modes, make full use of the autofocus system, metering and exposure modes, and understand how and why to use various settings in different shooting situations. It also covers all of the Menu and Custom Function Settings, with recommended settings to get you started. It cuts through all the information presented to you in the manual and focuses on functions, settings and information to help you get out there shooting in the real world. Thanks for the recommendation Douglas. I will refer people to your book. It looks like a good read for sure. You was great. I like Canon.